Make earrings using a spoon? It may sound impossible, but jewelry can be made using typical household items or things labeled as trash. There are many resources available making crafters and non-crafters think twice before heading to the garbage. From safety pins to spoons, here are seven ways to turn trash to treasure. 1. 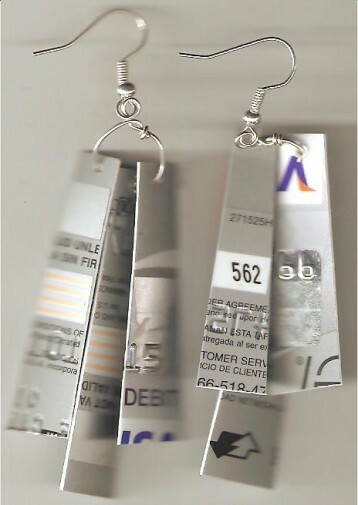 Design plastic earrings using old credit cards or bottles to add a little flair to Monday’s meeting. Designing credit card earrings are quick, easy, and require little expertise. You simply cut the credit card into strips, place it on a wooden board for support, hole punch, and attach to an earring hook. Also, there are many different variations to these earrings. 2. Use wire as support for beads to liven up Tuesday’s work wear. Beads are a common product used to make necklaces and bracelets, and many people have wire around the house. Measure the amount of wire needed, trim, string on beads, crimp and remove excess wire. Using the wire is a great way to get rid of junk and make something crafty. 3. Create a stand out necklace using a lock or spare keys for a little hmph in Humpday. If you’re continuously moving and end up with a bunch of keys you don’t need, a necklace is a great way to re-use items. You can string on multiple or a single key to create the necklace. Also, to make it more personalized use glitter or paint to decorate the key. 4. Assemble safety pins and beads to make friendship bracelets to hand out at Thursday’s girls’ night out. It takes little time, beads and scissors to create a safety pin bracelet, and there are many different kinds and patterns. 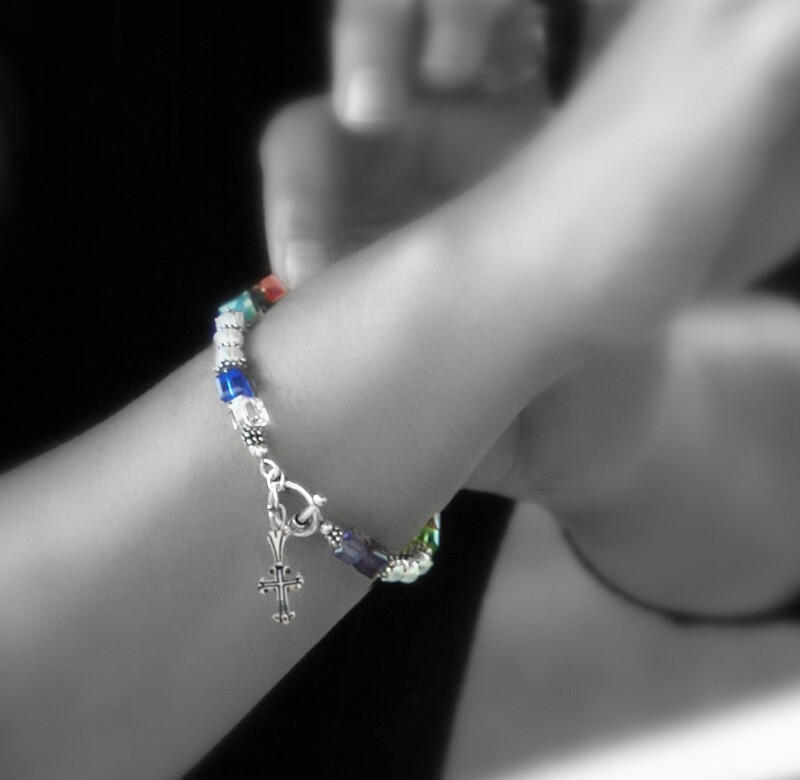 Once the pattern and style is chosen, you can create the bracelets. 5. Recycle old spoons into pendants or bracelets to dress up your casual Friday outfit. Spoons can be used in a variety of ways to make jewelry. One way is a pendant necklace. Bend the spoon back and forth until it breaks, use forceps to make a hook on broken part, put on a chain and design it anyway you like. 6. Transform broken china into a broken plate necklace and wear it to your next Saturday dinner party. A broken china necklace is a great way to recycle a damaged dish. Cut out the pieces, foil and solder, join the pieces, add a clasp and embellish. 7. Modify coins from change to pendants and wear them as you complete Sunday’s errands. A creative alternative to spending pennies is to make a necklace. Find a hard surface, create a hole in the coin, straighten the warped spots, put a jump ring through the hole, and thread a chain through. There are many more items that can be used to create jewelry, but these seven materials are a great place to start. Suddenly the kind gesture of a young teenage girl giving her best friend a friendship bracelet has turned into quite a dangerous gift. The U.S. Consumer Product Safety has been investigating children’s jewelry that is being imported from countries such as China for the toxic metal cadmium. A bracelet line, known as “Best Friends” was voluntarily recalled by its manufacturer earlier this week. The recall was over cadmium levels and the toxicity of the bracelets was proven both in house and by independent researchers. The bracelets were sold at the well-known retailer Claire’s, which has over 3,000 locations internationally. Claire’s is offering a total refund for the bracelet which should be returned immediately if a consumer bought one previous to the recall. Claire’s is not taking the issue lightly and is doing investigations of their own to ensure that incoming products are safe. The safety standards for jewelry do not have cadmium minimum requirements as they do for other materials such as lead. Claire’s and others affected by the recent issues are pushing for standards to be set and enforced. Government bodies and agencies across the United States are now beginning to take cadmium levels in jewelry much more seriously. Mothers concerned about losing their jewels and bangles to their teething babies do not have to worry anymore. The latest jewelry fad to hit the shelves is jewelry made specifically with mothers of young babies in mind. 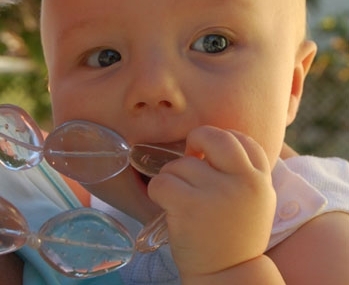 Anyone who has held a teething baby knows that anything will go into the babies’ mouths. Fortunately this issue is being addressed and jewelry is now being sold that is FDA approved and safe for children to chew. Not only is the jewelry safe for kids but it is fun and trendy as well. 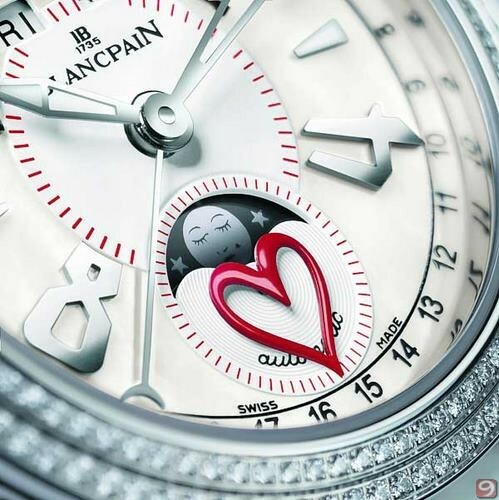 The jewelry currently comes as a bracelet, necklace with a pendant and a heart shaped key chain. The beading on the jewelry is ribbed for a more textured chew for the children. Jewelry retails from around $12 to $20. The jewelry comes in scents as well from mango to berry. It is considerably safer for a child to chew on jewelry designed with their teething habits in mind, however it is argued that teething jewelry could turn into a bad habit that is hard to break. Eventually mothers will want to don their real pearls and hopefully their baby will not think it is simply a vanilla flavored necklace. The jewelry is designed by Helen Bloom Smith and her partners. Smith is a dentist from Arizona and donates part of the profits to the Starlight Foundation to help ill children.